multiple selected layers at once. hidden layers will become visible. visible layers/groups will become hidden, hidden layers/groups will become visible. locked layers will become unlocked. 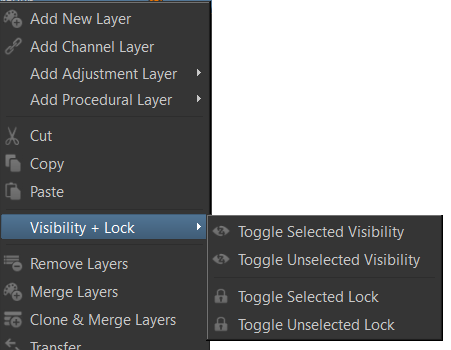 unlocked layers/groups will become locked, locked layers will become unlocked.